Brand New: Fantasy Shimmer Balms!!!! 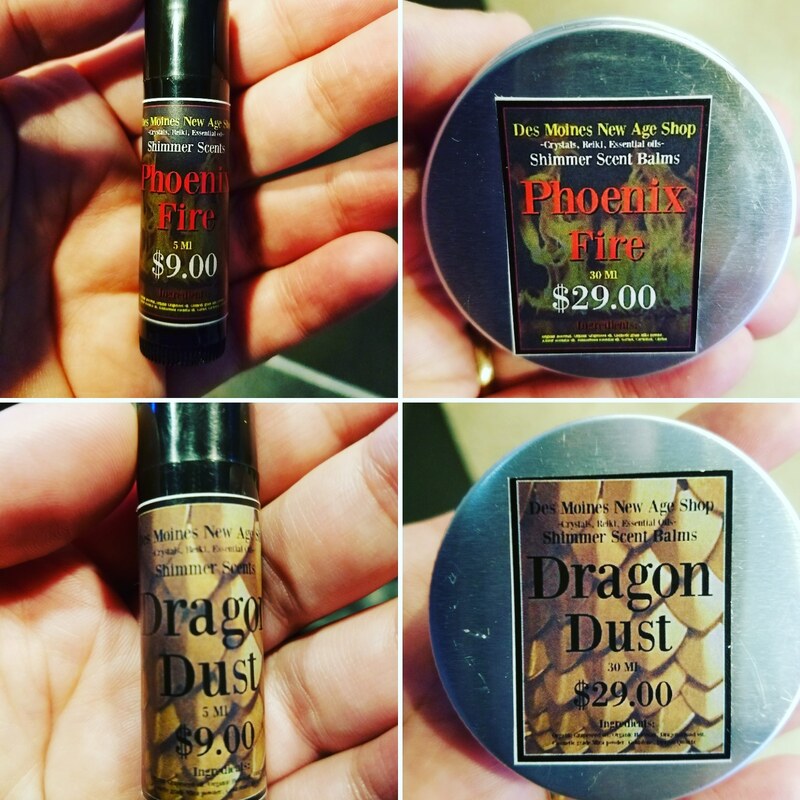 We have debuted our new line of #fantasy #shimmer #balms !!! This weeks Friday night talk (Programming your Crystals) has been rescheduled to next friday night! 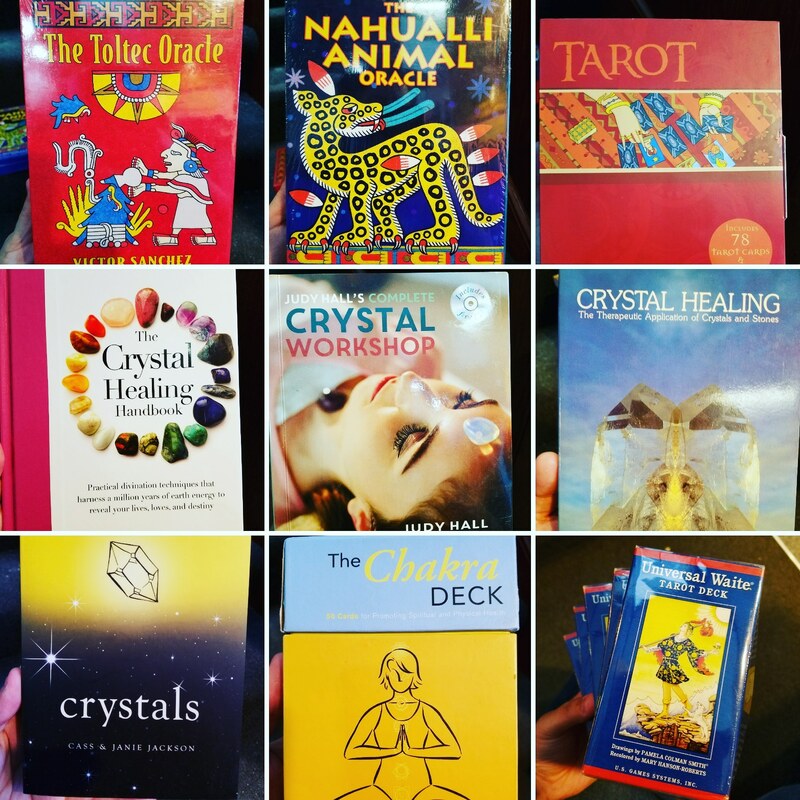 New Tarot, Oracle, Crystal books!!! Some #oracle , #tarot , #books came in at #desmoinesnewageshop !!! 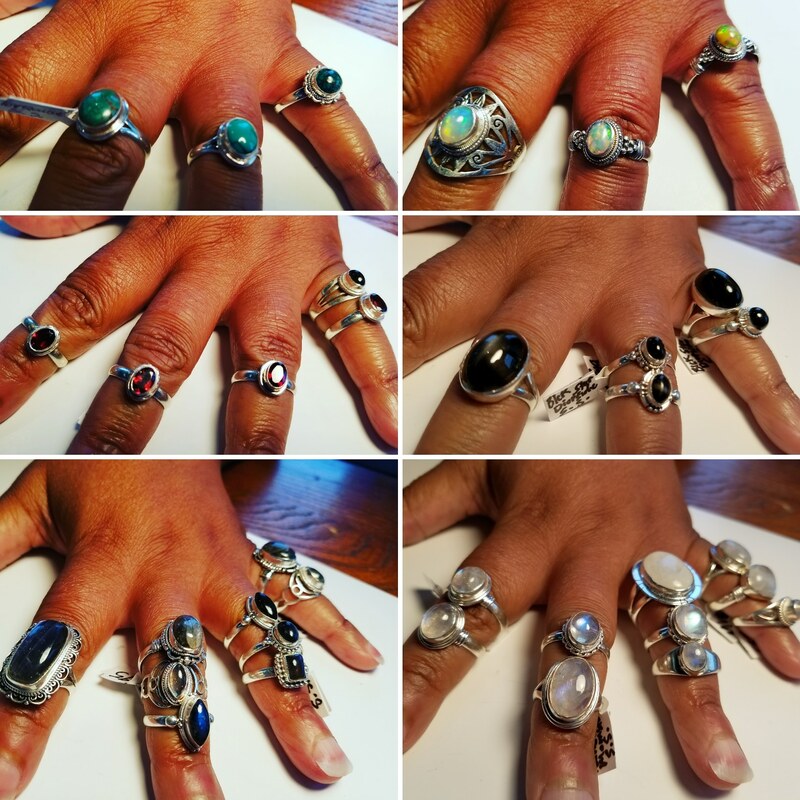 New batch of Sterling silver rings came in!!! 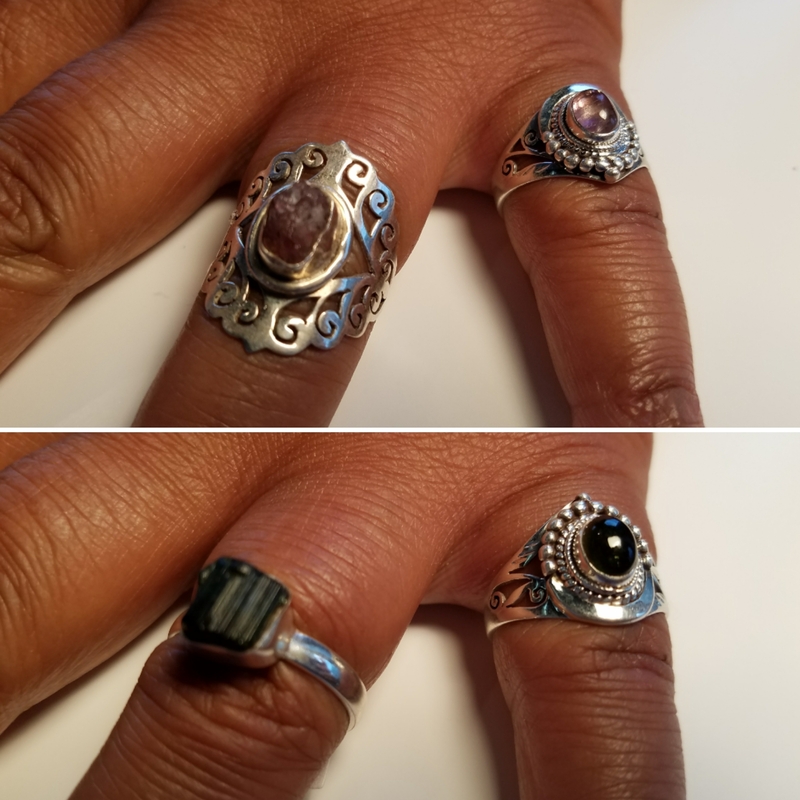 New Sterling silver Rings at #desmoinesnewageshop!!!! This Sunday(22nd) we have a wonderful treat for you, Talented Reader Vesna Adaeze will be offering her multitude of Psychic Gifts from 12pm to 5pm!!! She will also giving a lecture on Gypsy Magic from 2pm to 2:30pm!!! 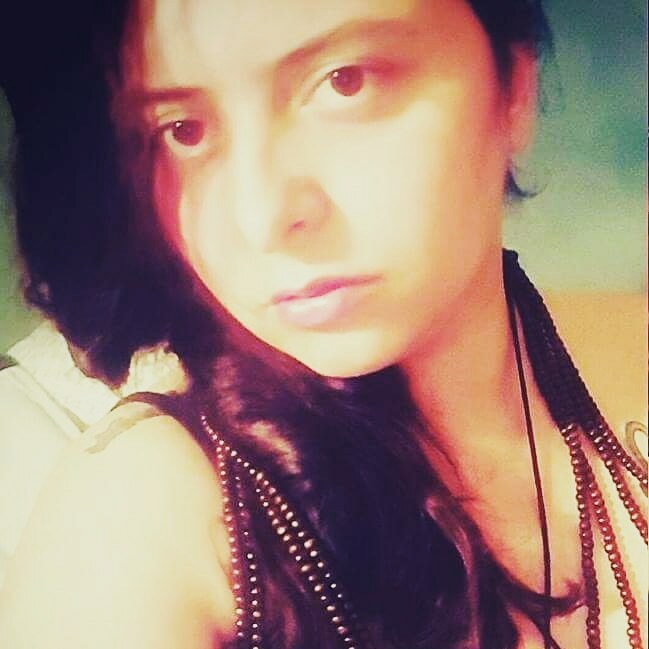 Vesna Adaeze – Vesna hails from Bosnia with a strong gypsy lineage. “Generations of magick, knowledge, and tools having been passed to me as such I am able to assist you in guidance and root work to your best life. Friday night Talk: Energetic Shielding!! Friday night Talk tonight at the shop!!!!! 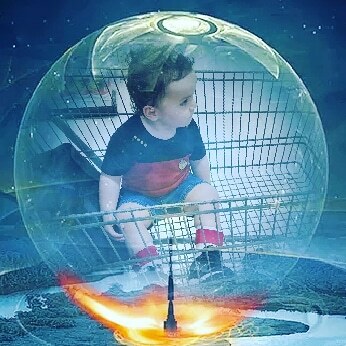 The Subject is Energetic Shielding!!!! Starts at 7pm, the talk is roughly 30 minutes and it is also broadcast through livefeed on our facebook page (Des Moines New Age Shop ). Restocked Herbs & Essential Oils!!!! 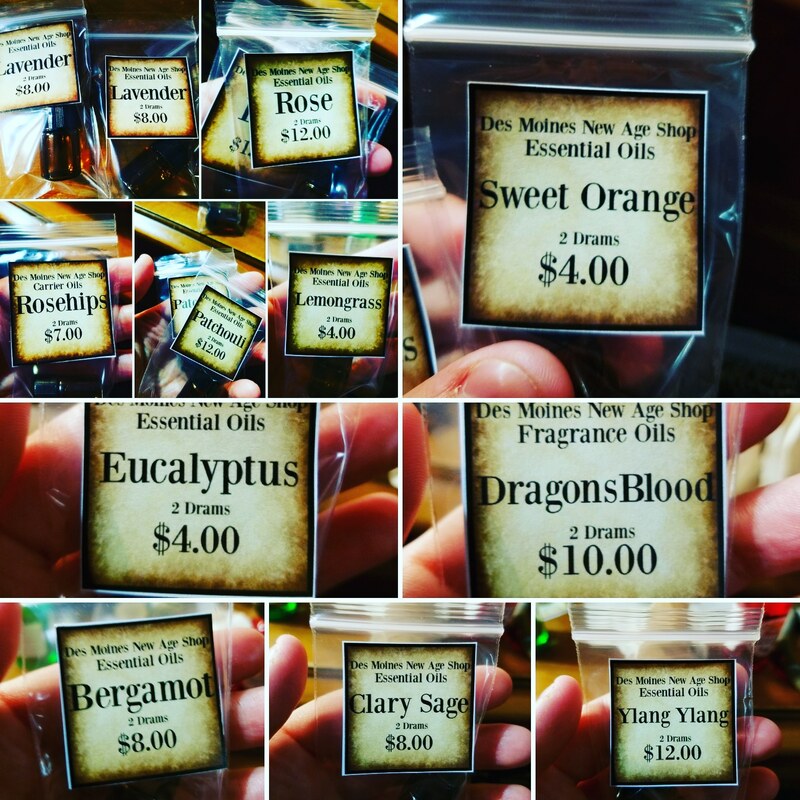 Some of the Essential oils at #desmoinesnewageshop !!!! 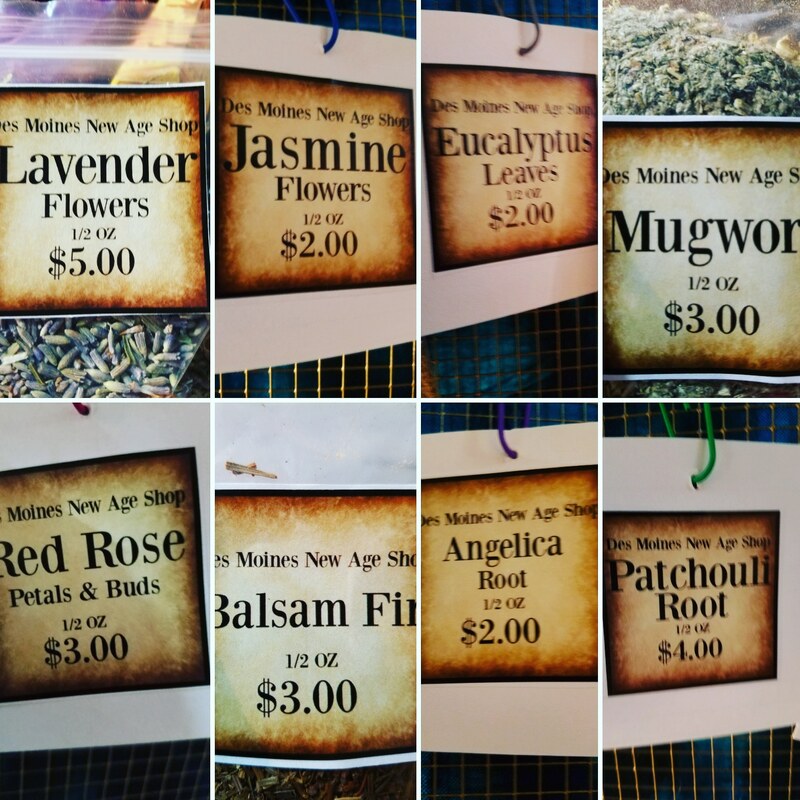 Some of the herbs at #desmoinesnewageshop !!!! 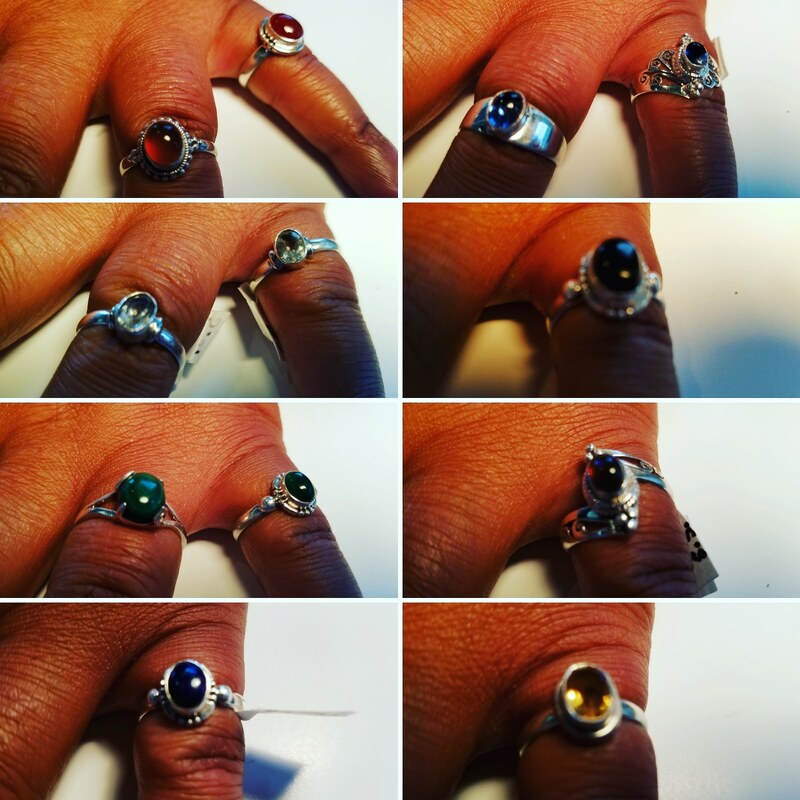 New #sterlingsilver pendants and rings at #desmoinesnewageshop !! 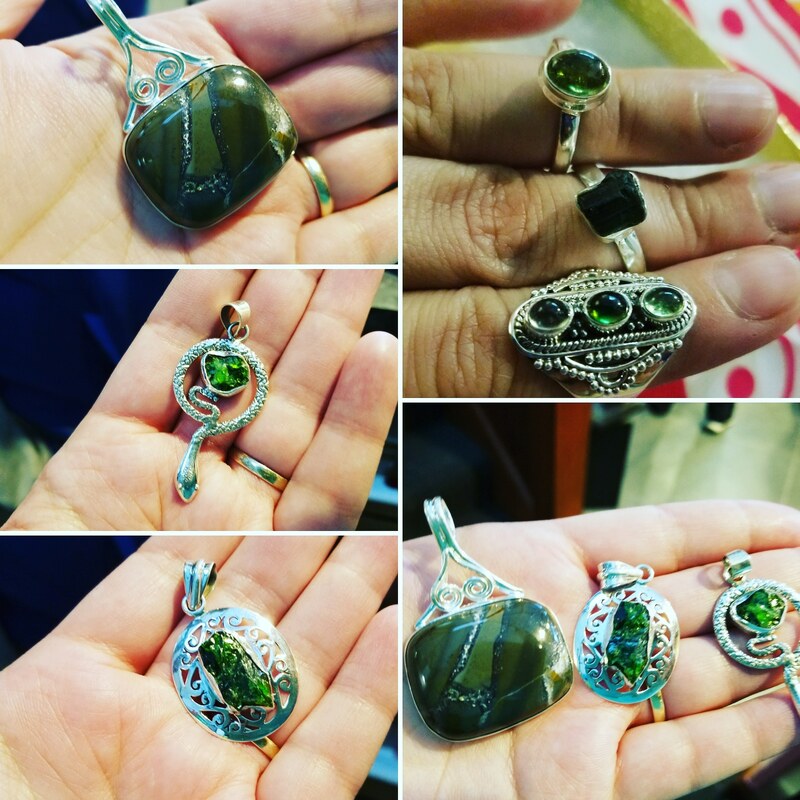 We have in #chromediopside , #septarianstone , and #greentourmaline !! 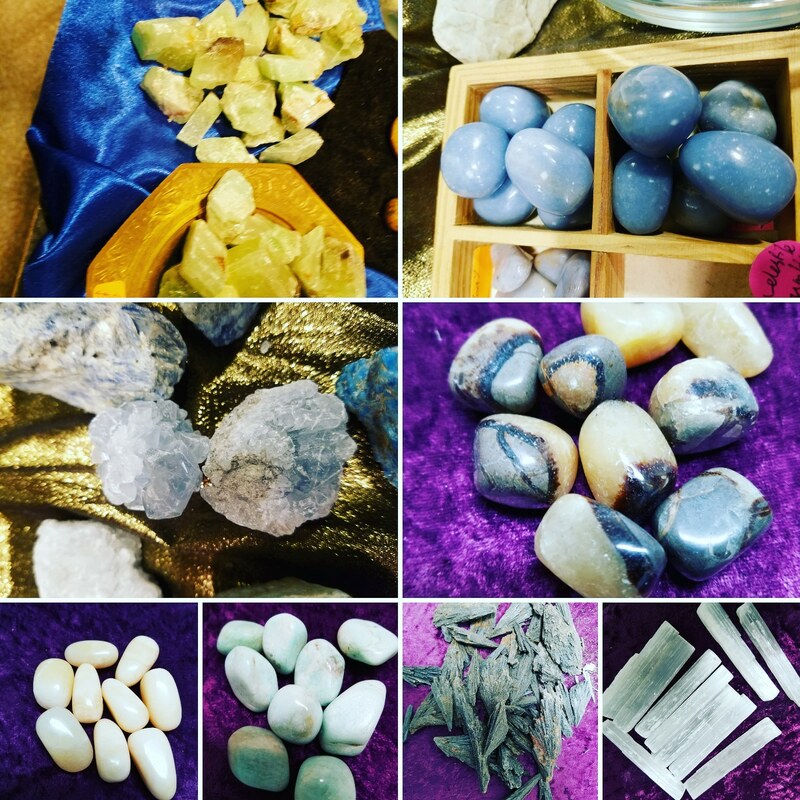 We have restocked on some more #crystals at #desmoinesnewageshop :)! 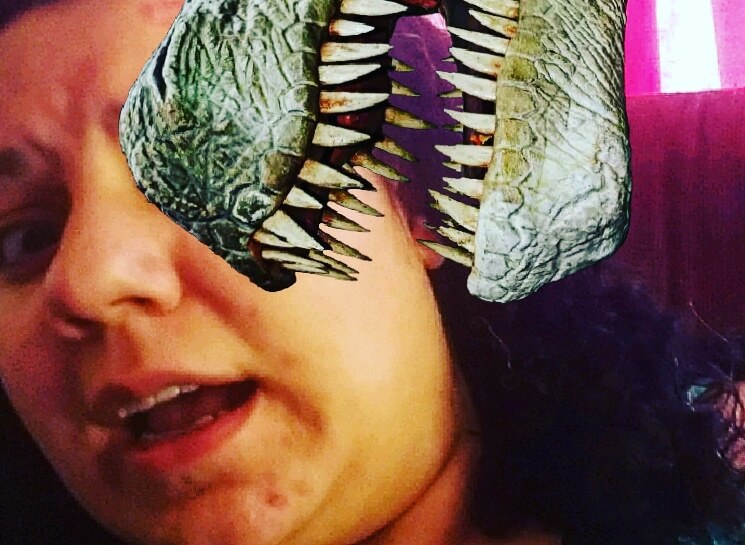 And yes, there will be more Gemtalks videos and articles forthcoming, when Im not QUITE so exhausted lols!